David's Blog: Here's where and when to watch and what to look for. This is always cool. 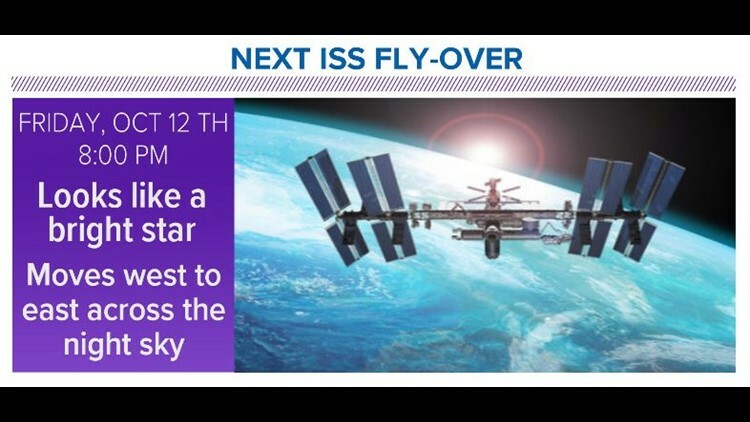 Friday night, the International Space Station will speed across the early evening sky at just the right angle for we here in Houston to get a good look at it. It appears as a bright white dot, like a star moving steadily across the night sky. 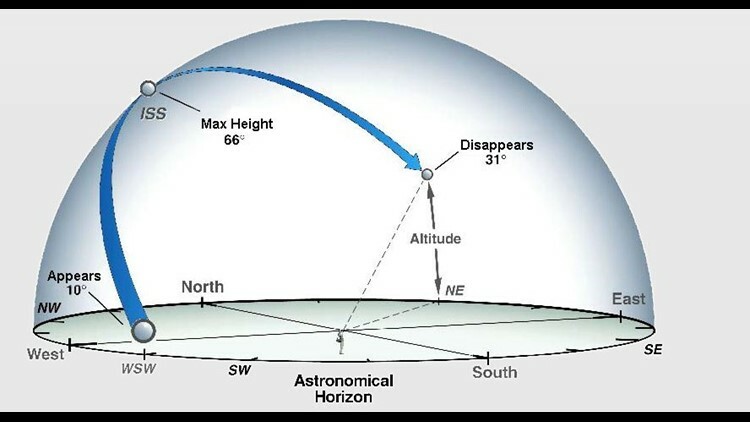 The show starts at 8:01 pm as the 'star' becomes visible above the horizon in the northwest sky. As it moves east, it will rise to a height (above) of 66 degrees high in the sky. That should make it easy to spot from where ever you are in southeast Texas. It will disappear below the horizon to the east southeast four minutes later. (above) You can track the exact location of the ISS anytime. 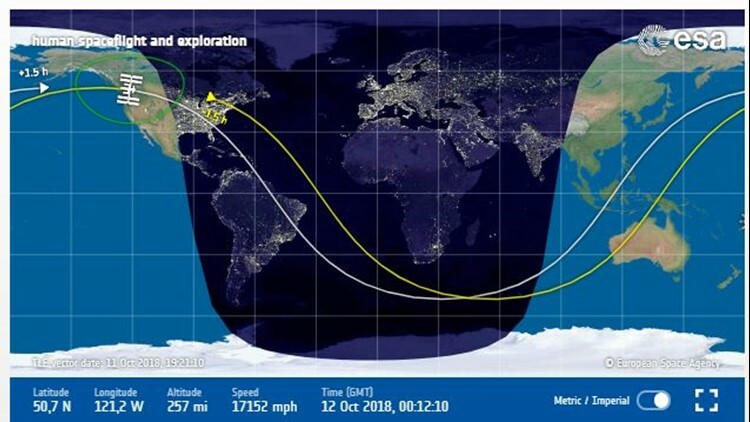 NASA provides this cool 'live' tracker here.